Clare Allan lectures on the MA Creative Writing (Novels) and the MA Creative Writing and Publishing. Her first novel, Poppy Shakespeare was published by Bloomsbury in 2006, and was shortlisted for the Guardian First Book Award, the Orange Prize for New Writers and the Mind Book of the Year. It was also adapted into a BAFTA winning film. She is an award-winning short story writer and was the inaugural winner of the Orange short story prize in 2002. She is a regular reviewer of fiction and has been writing a monthly column for The Guardian since 2006. 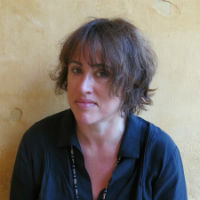 She has written for most British newspapers as well as for the New York Times and has written and presented a number of programmes for BBC Radio 4. Allan, C. (2012). Poppy Shakespeare. A&C Black. ISBN 978-1-4088-3223-3. Allan, C. (2008). Poppy Shakespeare. ISBN 978-0-7475-9767-4. Allan, C. (2007). Poppy Shakespeare Roman. ISBN 978-3-89667-295-7. Designing Fictional Worlds. Design in Mental Health Conference (2014).